Papamoa’s Re-Energise Physio is pleased to announce it is now offering Clinical Pilates classes at its Parton Road Premises. “The benefits obtained from attending a Pilates class regularly are numerous”, says Clare Murden, Physiotherapist and qualified DMA Clinical Pilates Instructor at Re-Energise Physio. Pilates is a strength-based system of exercise, first developed in Germany in the early 20th century by Joseph Pilates. Clinical Pilates is taught by health professionals and is a progression of the original concept of Pilates, restructured to suit the needs of patients in the modern world. “It’s important to receive regular tuition from an experienced instructor who will assess you and correct your technique with the exercises”. Clare discovered the benefits of Pilates while rehabilitating her own back injury 12 years ago. “That sold me on it,” says Clare. “A couple of years later I was mentored to teach clinical Pilates and formally trained with DMA Clinical Pilates”. 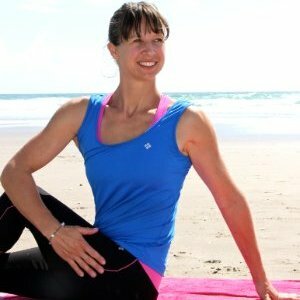 Clare’s Pilates classes are held at 9:30am every Monday in the front room at Re-Energise Physio, 130 Parton Road, Papamoa. The cost is $12 per class. The class sizes are limited to ensure close supervision of all clients. Individual Pilates training is also available at the clinic. The Pilates classes are scheduled to run for one hour. However, Re-Energise suggests allowing 15 minutes either side of the class to have your needs and movement range assessed. “It’s important to prioritise the health of your body and mind,” says Clare, “so make time for Pilates during your busy week. For more information about Pilates classes, contact Re-Energise Physio on 07 542 2396.